My style is a product of two parts. The first involves a creation story originating with American Eagle, migrating over J. Crew, and eventually settling into what it is today. And the other: a heritage passed down from my grandfather to my father, and from my father to me. 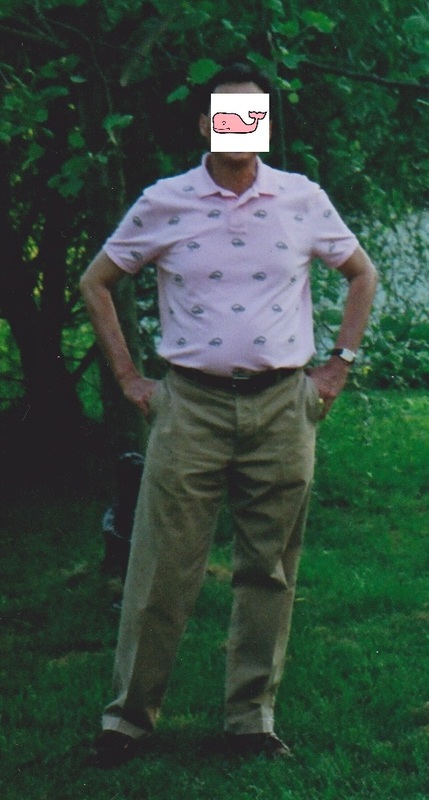 Unlike so many grown men these days, my dad embraced fashion and cared about how he looked. My grandpa instilled this into him, who himself was a successful banker and had an eye for the timeless, as you can see from his clothes that had been given to me in a few of my pictures. Despite certain stereotypes involving men and a taste for clothing, Dad was never flamboyant or "dandy" about his style. Growing up in the 1970s and 1980s, he loved and reminisced in the styling of his day. He adored The Beatles and The Bee Gees and copied Paul's Cuban-heeled boots and Andy's loose necks, tight bell-bottoms, and long hair. As he grew older, his style mellowed out and became decidedly boring until a renaissance of preppy attitude that sparked around the same time I started to get into clothing. We pretty much fed off each other in our respective styles. My father and I did the usual things that are windows into childhood memories, such as shooting hoops, barbecuing outside, and tending to the car. 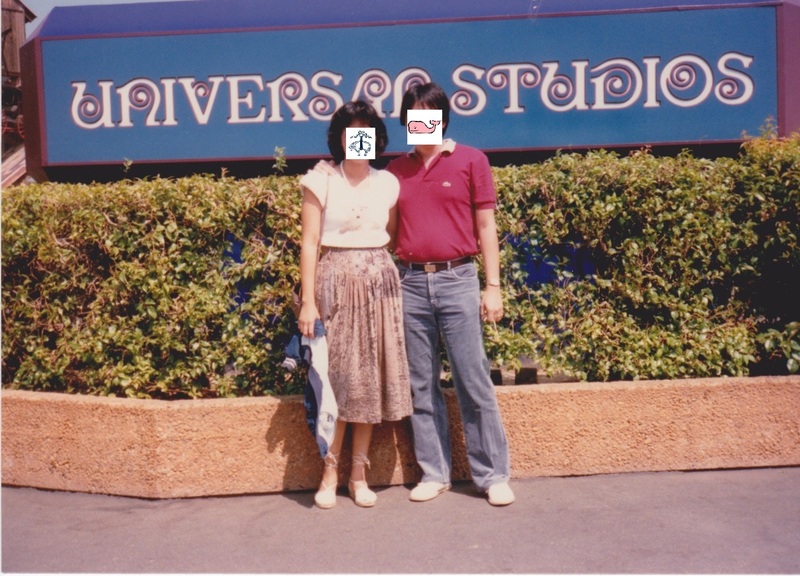 But my most special memories are of us taking shopping trips during my summer breaks in middle and early high school. It may sound like something a mother/daughter pairing may enjoy after a manny & peddy, but our trips had some reasoning (or more like an excuse) in that my dad wanted to sell clothes on eBay as a side income, which sparked my own hobby of thrifting and flipping. Dad taught me the golden rule of being frugal and going for the best deals possible. We sold mostly men's clothing since that's what we knew best, and as our number of shopping trips grew, so did our closets in both quantity and quality. Ultimately we bonded more than what few dollars we made online and I am glad we created those fond memories. Those shopping trips were fun and something we looked forward to. Made my mother happy too, since she could relax after a full day's work at the department store with her going one way towards the shoe department and us going towards the clearance racks. We stopped doing those regular trips when I grew older, especially since I could now drive and it was uncool to hang out with my parents, but whenever we had some free time on the weekends we'd always find ourselves eating lunch at McDonald's and heading to the mall to search for the next deal. Dad's style went through a period of 1990s misfortune before arriving and growing into something more mature and respectable of his age. He had sailed into the preppy seas, with some hits (pair of J. Crew green chinos) and some misses (a colorful Ralph Lauren plaid military shirt that would make Lily Pulitzer blush). Over the past couple of years, with my own direction becoming sharper, it was eventually me taking charge in our sartorial friendship. 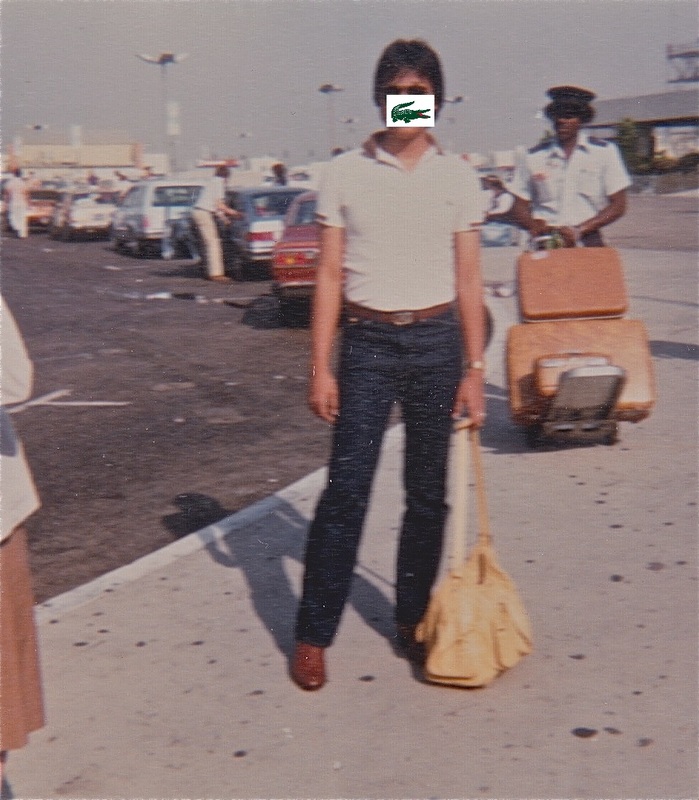 His two all-time favorite brands were Ralph Lauren and Lacoste, especially their polos that he had worn since he was my age in college. After all, his standard attire was a polo with shorts in the summer, and a polo and chinos or his trusty Levis in the winter. But by late high school I had discovered J. Crew and introduced it to him, which he gladly appreciated, and that store soon became the highlight of our mall visits. On any given Sunday you could find us in the sales section at the back. Then J. Crew lead into dear ol' Brooks Brothers and his eyes followed. Glad I have not [yet] climbed to the likes of Brioni and Oxxford or our house would have been foreclosed by now. Check out those wide collars. Late 1970s. *I altered the following pictures because of my obsession with anonymity. 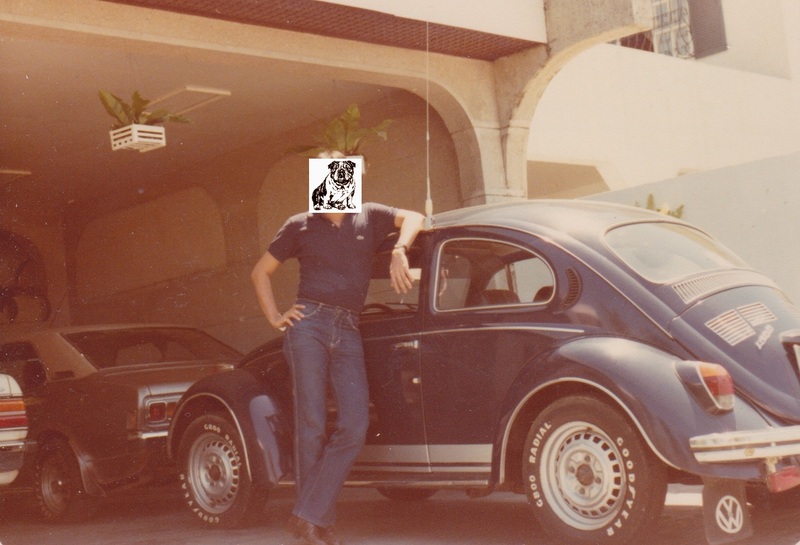 Dad and his old Beetle. 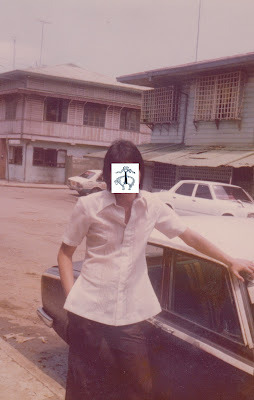 One of his many Lacoste polos. Early 1980s. Lacoste polo and Beatle boots. Ray Ban aviators. Mom and Dad. 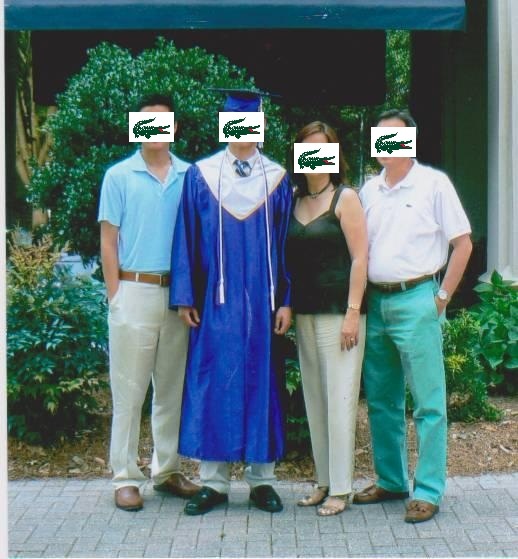 Lacoste polo. Mid 1980s. 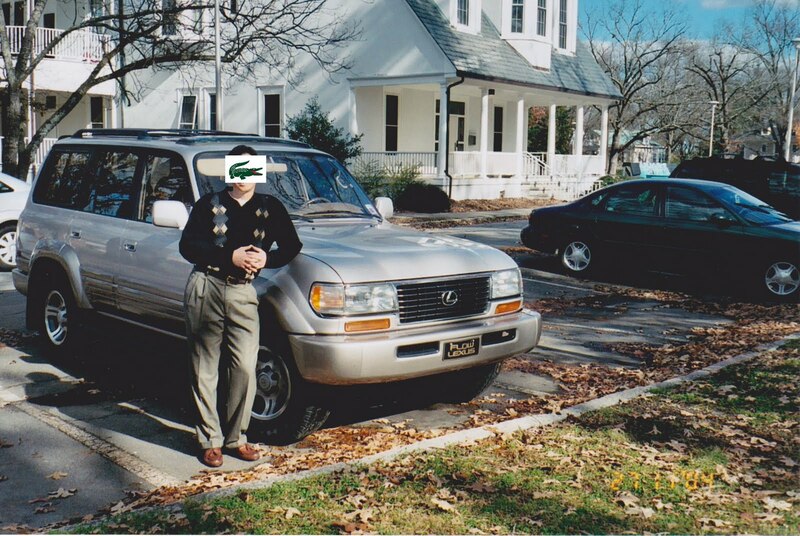 Dad loved our LX450. We had a lot of great family trips in that car. Eventually sold our work horse for a smaller, more economical Volvo. Flash forward a few years to my high school graduation. Dad is on the right. Lacoste polo and J Crew chinos. My older brother is on the left, Dad on the right. 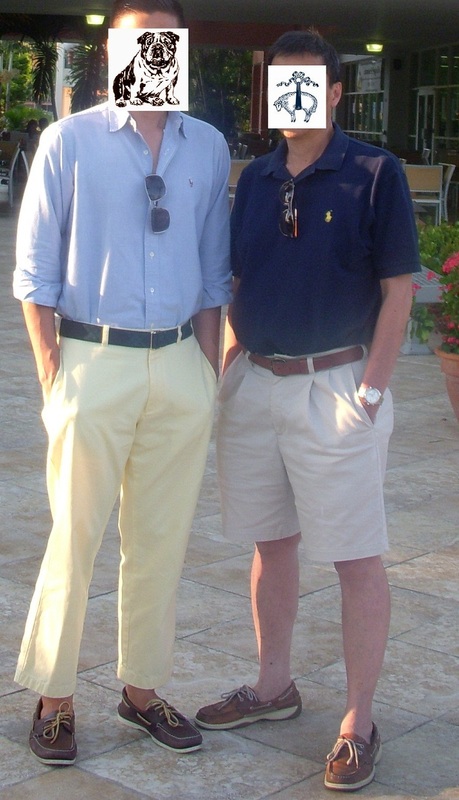 Ralph and boat shoes. Like father, like sons. One of father's few misses, an RL pink polo with embroided snakes. He means well. That tank dress watch is an old Seiko he has had since the 70s. Comes all together in our family photo taken two winters ago. I take credit for hand picking all of our clothes in this shot (seriously). Even our dog is wearing an argyle vest which you can't really see. I have a whale on my face. 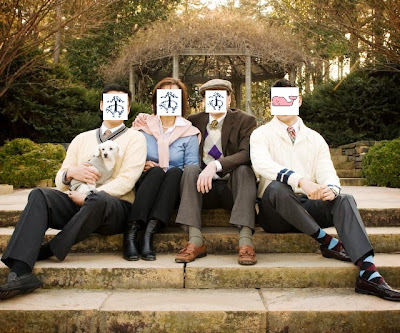 Everyone is wearing Brooks Brothers that my whole family is in love with now. I take credit for that too. Dad passed away last month after 11 years of fighting cancer. He is survived by his wife of 30 years, his two sons, and family dog. Sorry for your loss.....this is a well written tribute and your dad would love it. I am sorry for your loss. I really appreciate the time and effort that you put into your posts. That last picture is great. Very nice selections.